This article was originally published in the August 2018 issue of HR Professional Magazine. 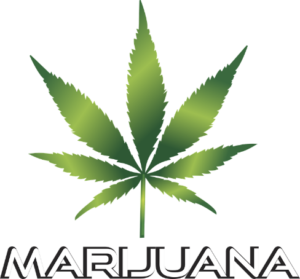 Once recreational marijuana becomes legal this October, a major increase in marijuana consumption is expected. According to a study conducted by Deloitte, 22 per cent of Canadian adults currently consume recreational marijuana, at least on an occasional basis, and another 17 per cent would consider trying it after it is legalized. That’s almost 40% of the Canadian population! It’s not surprising then that employers are concerned about how legalization will affect the workplace. To date, the government has not specified many details about impairment guidelines; it’s still unclear how an employer may legally determine if an employee has come to work under the influence of marijuana, and what course of action to take. There is an even bigger concern with employees who operate in safety-sensitive roles such as those operating heavy machinery, or workers on a construction site. The use of medical marijuana has also risen in the last few years. There is growing evidence that suggests medical marijuana plays a role in alleviating pain and can be a viable alternative to prescription medications for various medical conditions and symptoms. Though the workplace guidelines here are clearer, medical marijuana use remains a sensitive matter for employers. 1. The burden of responsibility lies with the employer and management. Since Bill 148 (Fair Workplace Better Jobs Act) came into effect in January, 2018, the responsibility lies with the employer to accommodate employees in various situations. Bill 148 provides employees with rights they didn’t have before, and means that the burden of proof is on the employer and management to respond appropriately. 2. Adding medical marijuana to a group plan is not obligatory, but could potentially save employers money. Insurers and employers were initially concerned that adding coverage for medical marijuana will increase the cost of health plans. However, they found that such coverage actually replaces the use of similar or higher-cost prescription drugs, so this does not raise the cost of the plan. Medical marijuana is slowly being added as optional coverage to group benefit plans by the big insurers. In January, 2018, Sunlife Financial announced that it was offering limited coverage (up to $6,000 a person/year) for five specific conditions and symptoms. Want to learn more about your healthcare solutions? Contact me for a complimentary 30-minute consultation.